This entry was posted in Cityseeker Guides and tagged Bangkok, Chao Phraya River, Grand Palace, shopping, Thailand, tourism, Wat Arun, Wat Pho, weekend on February 27, 2018 by Advaita Raut. I am going to tell you a story about a city in France. Everybody all over the world knows Paris, but my story is about a town in the South of the France. Maybe some of you had heard about it, maybe in a positive way or maybe in the negative way. This city, snuggled up at the heart of Provence and on the shores of the Mediterranean Sea, is also commonly known as la Cité Phocéenne (The Phocaean City). 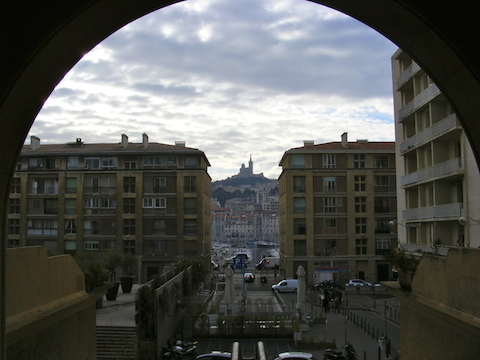 Marseille, town of a thousand facets, fascinating and bewilderingly complex, is my city. I was born in Marseille in 1984, to Italian immigrants parents. Why Marseille? Because for many people who make the choice to leave their country, the city has a big port open on the Mediterranean sea. Near Spain, Italy and North Africa, the town has welcomed many different culture over the years. When you are in Marseille, you just need to drive 3 hours to cross the Italian border. Easy! The new inhabitants arrive also by boat, trying to built a better life. 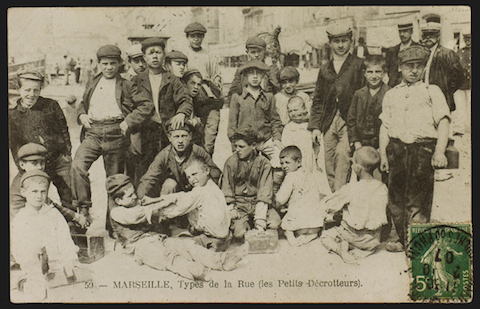 Marseille has never closed its arms in front of any wave of immigrants. This made it strong, a multicultural city. Everything isn’t perfect, because some differences can create conflicts. Indeed, language, religious, or cultural differences can cause real integration problems. Despite that, Marseille stays the most welcoming city in France, a town where my siblings and I have grown up and where we proudly carry our Italian heritage and our dual citizenship. If you like beautiful and authentic attractions, Marseille is made for you. When I think about my city, I can’t forget the smell of the sun on my skin, its daylight beauty, and its mysterious side at sunset. Rich in history, Marseille is where ancient architecture combines with the new face of the city. The first thing to do, even if you aren’t catholic, is to visit la Basilique Notre Dame de Garde, commonly refer by the Marseillais to “La Bonne-Mère.” Built on the hill overlooking the town at 490 ft, the view on the top is wonderful. The best moment is early in the morning when everything is still quiet. With a 360 degree view of the city, it was consecrated on June, 5th, 1864, and each year, the pilgrimage for the Assumption Day, on August 15th is really popular event. This Neo-Byzantine church supports a monumental statue of the Madonna and her child, which is 27 feet tall and made of copper gilded with gold leaf. La Bonne- Mère, is the guardian and the protector of Marseille. The other religious site is La Cathédrale de la Major, built from 1829-1874, in a Byzantine-Roman style. With a capacity of 3,000 seats, it’s one of the largest cathedrals in France. It’s 469 ft long, with a main cupola of 231 ft high. But in Marseille, there is another strong religion: football. Not in general, but the football team of the city, l’Olympique de Marseille (OM). Taking place in the famous Stade Vélodrome, the night of home matches are events not to be missed. The ambiance and the fans are considered as the best all over the world. Built in 1937, the stadium welcomes 67,394 spectators and is also used for shows. Indeed, le Vélodrome is a wonderful stage for several artists, such as The Rolling Stones, Paul McCartney, The Police and AC/DC. The other site associated to the team is La Commanderie, it’s the training center of l’OM. Many fans from all over the world come to see their idols and dedicate jerseys. The town is also known for its different authentic districts, such as le Panier, which is located in the oldest part of the city and surrounded by famous places such as l’Hôtel de Ville, les Grands Carmes and La Joliette. With narrow streets, shops and its own old architecture, the district is considered the most picturesque place in Marseille. 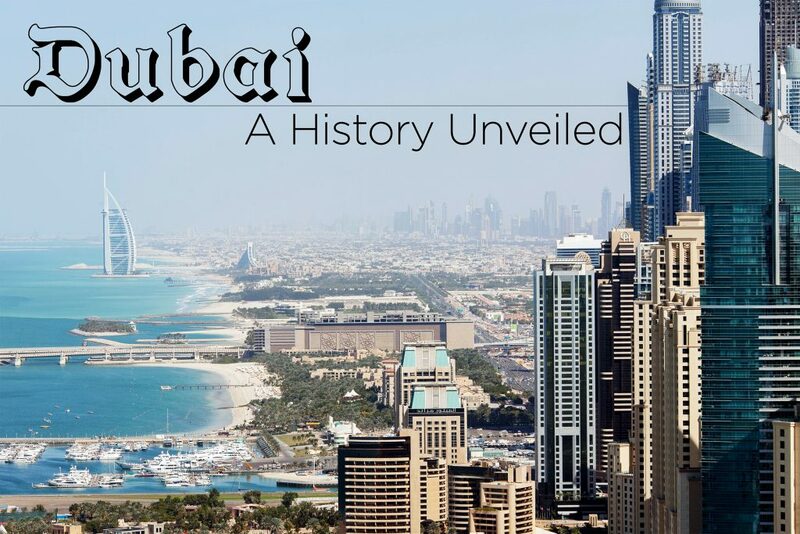 It’s defined as a popular area because it was the first place of the immigrants in the city. 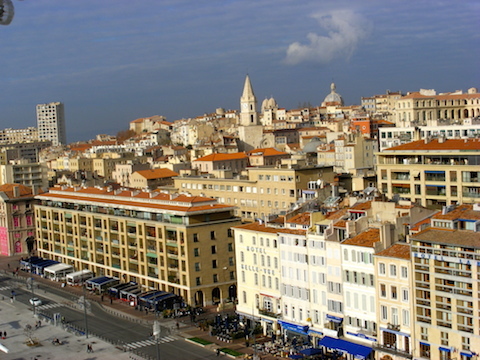 It soon became a tourism venue and many artists opened studios because Le Panier served as a place of inspiration as for the famous local TV show, Plus Belle la vie, shot in Marseille. You can also visit La Vieille Charité, a a museum and a cultural center and former almshouse for the poor. This Baroque structure was constructed between 1671 and 1749 by the architect Pierre Puget. It is filled with beautiful architecture such as structure with pink and yellow tinted stones. In the center of the courtyard a round church was built. 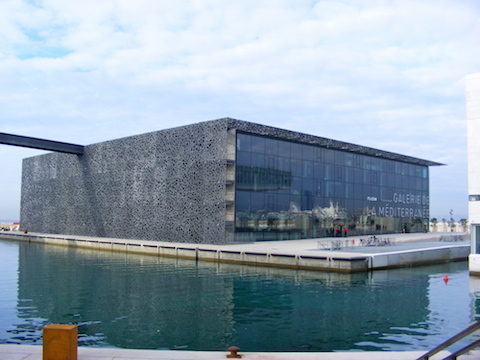 If you continue to walk, you will arrive on the MuCEM, (Museum of European and Mediterranean Civilizations), inaugurated on June 7th, 2013, the year Marseille was designated as the European Capital of Culture. The museum is near the wonderful site of the 17th century le Fort Saint-Jean, built by Louis XIV at the entrance to the port. The two places are linked by a high footbridge. 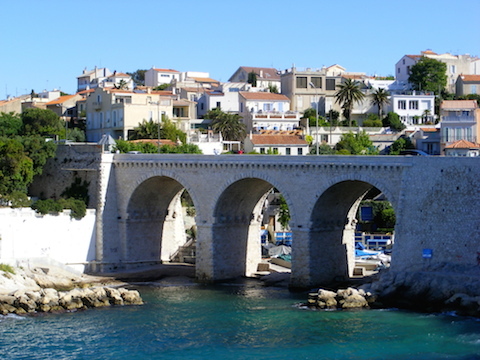 There are so many places to see that the best way for you to take it all in will be to book a ticket and fly Marseille. 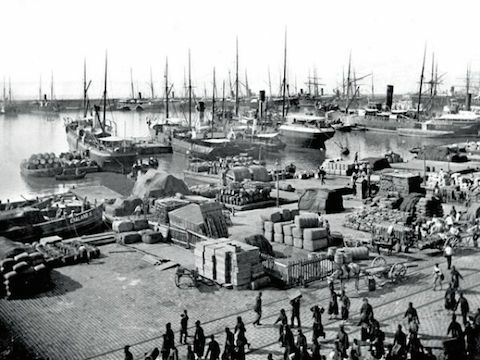 But if you want more right now, I of course have to talk about le Vieux Port (the Old Port), which is located at the the end of the most historic street of Marseille, La Canebière. Since 2013, it’s mainly for pedestrians with few cars. Each morning it welcomes the fresh fish of fishermen. It is the historic and cultural center of the city since it dates back to sixth century BC. From the port you could take the ferry boat to visit the islands of the Phocaean City, such as, the archipelago of Frioul and le Château d’If, fortress and prison known for being one of the settings of Alexandre Dumas novel, Le Comte de Monte-Cristo. If you continue towards the Southern districts, you will follow the ledge called la Corniche du Président John Fitzgerald Kennedy, named after US President Kennedy. It extends from Les Catalans beach to Le Prado and its famous for its naked statue of David. It offers one of the most beautiful landscapes of Marseille, with the Mediterranean Sea and its islands on the horizon. On the way you could see the famous fishermen sheds, “cabanons”, houses of the 19th century (Villa Valmer, Villa de Gaby Deslys), hotels and famous restaurants (Le Petit Nice, Peron, Chez FonFon), where you could stop to eat the inimitable, bouillabaisse (fish soup). Under La Corniche, hides the little but picturesque port of Vallon des Auffes, where the time seems to have stopped. I can’t finish this part without talking about the amazing Calanques de Marseille. The massif is the best place to hike and climb with is wild and rugged landscape between Marseille and Cassis. The site is the one of France’s great natural beauties. The geology and ecosystems are protected — In 2012, the Calanques were declared National Parks due to their uniqueness. Even though nowadays we can’t visit it, the Cosquer cave is located underwater, in the Calanque de Morgiou. It’s a cave of the Paleolithic area, covered with paintings and engravings of animals dating between 27,000 and 19,000 BC. The Calanques can be see by boat and if the weather allows you should swim in this warm, blue water. But please be a responsible tourists! Protect this land of dreams. Oh my taste buds quiver with pleasure evoking the food in my city. Okay, I’m vegetarian but even though Marseille has the best fish restaurants, we are also known for the best pizza. Remember, Marseille is a city of immigrants with close proximity to Italy. We are the city with the most pizza in France. In each area, you can smell tomato sauce and wood fire. I could damn myself for one of these piece! If you want make your own pizza, the best venue is Sapori di Napoli. 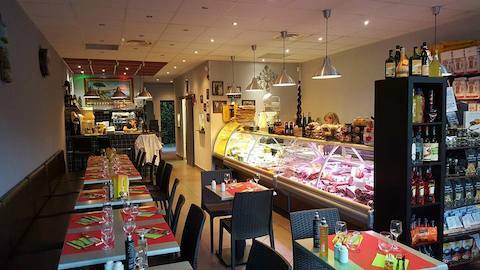 It’s a little Trattoria in Château-Gombert’s district, which combines a shop full of Italian products with a restaurant. The owner, Raffaele Paparone, imports products such as the mozzarella di Bufala, Panettone, wine and deli meat from Napoli. If you like different kinds of food, I recommend la Baie du Dragon. It’s a Vietnamese restaurant on Notre Dame du Mont district. 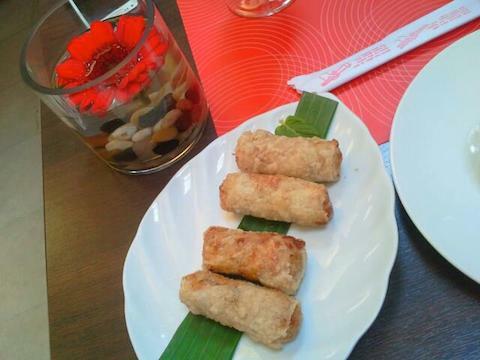 The place is perfect for vegetarians and the chocolate nems are just divine. It’s my king of headquarter, the go-to for when I have to celebrate something, such as my departure for the USA. In Marseille you can easily find all kind of restaurants — Indian, Italian, French, Moroccan, Japanese etc, and for all your events. Even though Marseille has some good restaurants, for me, the best place remains my family home, with the real meals made by la Mamma. But take your ticket and wait your turn, because I can’t invite you all in the same day. It’s time to say goodbye to Marseille, with a little twinge in my heart, thinking about these venues, the food and my mother’s arms. But do you smell the perfume of the Mediterranean? Do you smell the garlic, tomatoes, basil and olive oil? Do you smell the flavor of freedom? Sorry, I have to leave you, it’s now time for l’apéro, (a kind of happy hour, after work where you drink and eat snacks), the most important moment in a day in Marseille, to drink the legendary Pastis. This entry was posted in Cityseeker Stories, Featured, Staff Picks, Things to SEEK and tagged europe, France, Marseille, tourism, travel on November 13, 2015 by Caroline Marongiu-Ingargiola. I am a Norn Iron (Northern Ireland for those who like to pronounce all their syllables) local – and over the years, my sneaky fondness for it has developed into full-on love, compounded even more by the fact that I don’t live there anymore. I was fortunate enough to be able to return recently and was delighted to see that the North, and Belfast in particular, was continuing along its path of charming gentrification. I was less fortunate to be exposed to Titanic Fever – columns and columns of newspaper space were saturated with Titanic trivia, century-old reports documenting the sinking, bemused tourists being asked to give their verdict on the brand new Titanic Experience building – ‘great for the city, sure it is!’. 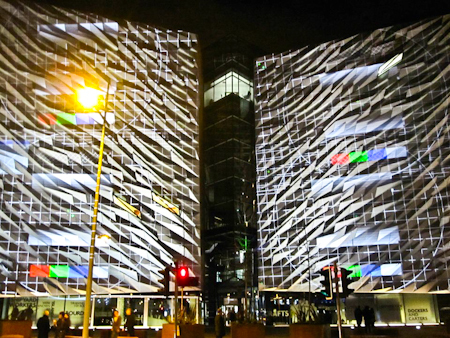 I still had to go and visit it, though – that night, rainbow-coloured lights, like refracted prism beams, were projected onto the building’s imposing aluminum walls. They were dazzling. That wasn’t all that was new for me in Belfast. I like to eat my way around cities so while I was determined to visit old favourites, I sought out new haunts. 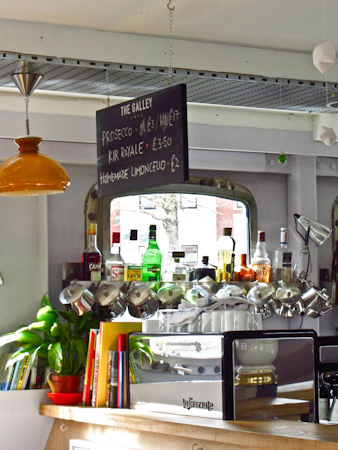 The Barge, a former canal barge, is moored at the back of the Waterfront Hall and has been lovingly restored into a museum and a café. The food was excellent, and the sunlit, almost Scandanivian setting encouraged even the most hungover of us to start to think about beer again. 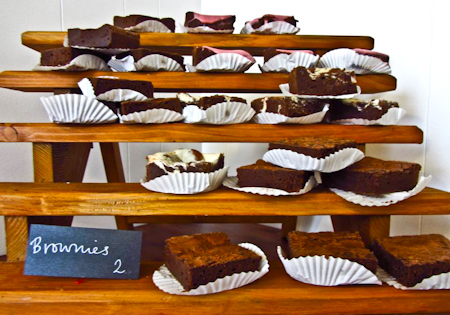 I never need to be asked twice if I want some cake, so a friend took me to Cakes By James, a tiny cake shop that is literally hidden in a building that it shares with art shops, jewellers and galleries (you have to ring a doorbell to get in, and it’s up three flights of stairs). James Watson, a local who curated his talents at bakeries around the world before returning to Belfast, is a magic cake alchemist; when my friend recommended I try the stout and ginger cake, I looked warily at him. When I took a tiny bite, ringed by cream cheese frosting, I was forced to eat my words. Then more cake. This entry was posted in Cityseeker Stories and tagged Belfast, Bushmills, Mourne Mountains, Northern Ireland, St. George's Market, tourism, UK on May 16, 2012 by Korrena Bailie.